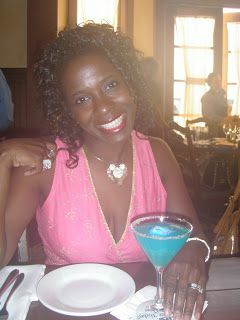 Laura Spencer, of Disney, with the park's signature blue drink. 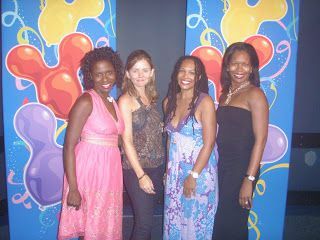 Laura Spencer, Darcie, Sherelle, aka FunkiDivaGirl, my fellow mom bloggers, posing with me at Disney last year. 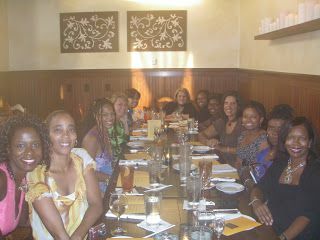 The mom bloggers and at Cat Kora's restaurant at Disney's Boardwalk. 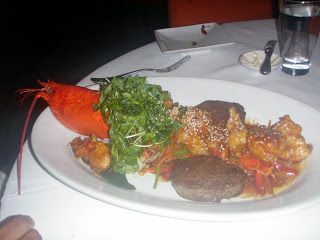 Five Star dining at Todd English's Blue Zoo at Dolphin Swan Hotel right next to Epcot. 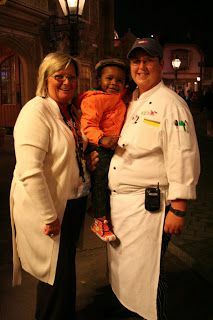 Brenda McWilliams, of Disney, my son and the chef at Epcot's Pub Restaurant in Great Britain. 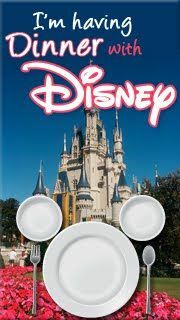 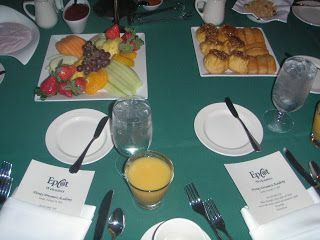 One of many great banquet meals I ate during Disney's Dreamers Academy with Steve Harvey in 2009 and 2010.